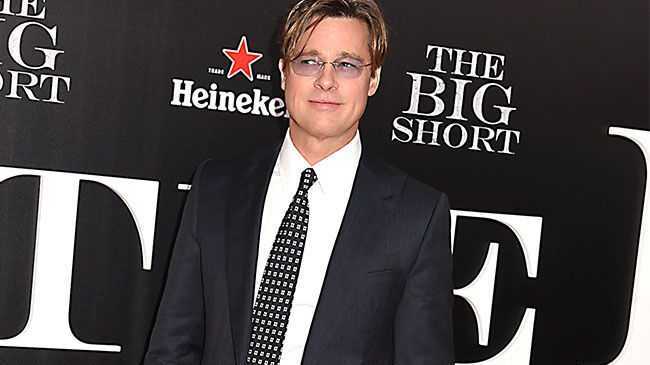 BRAD Pitt has met up with his oldest son. The 52-year-old actor had contact time with his younger five children, Pax, 12, Zahara, 11, Shiloh, 10, and eight-year-old Knox and Vivienne in a supervised visit at his Los Angeles home last week - the first contact he'd had with them since estranged wife Angelina Jolie obtained temporary custody of their brood - but 15-year-old Maddox was not present. While it was previously claimed the teenager - who Brad was said to have "got physical with" in a row on a private jet last month that supposedly prompted Angelina to file for divorce - had chosen not to attend the meeting, sources told TMZ a therapist who had met with all the kids had felt Maddox hadn't been ready to see his father when the other youngsters did. And on Wednesday, the pair had a contact session with a therapist present. The news comes after it was revealed Angelina and the children have been questioned by the FBI over the alleged incident onboard the private plane. 'Entertainment Tonight' reports the visit was not part of a formal investigation, as officials are still in the "fact-finding" stage to determine whether or not there is enough evidence to warrant an investigation. A rep said: "[The FBI is] continuing to gather facts and will evaluate whether an investigation at the federal level will be pursued." Earlier this month, it was reported that the FBI would not be opening an investigation because "Maddox suffered no injuries and some witnesses on the jet say Brad's contact with the boy was inadvertent", and officials claimed the case should never have been referred to them by the Los Angeles Police Department. However, FBI officials spent three hours in the 'Maleficent' star's Malibu home, asking both Angelina and her children to walk through what happened step-by-step during that day on the plane. The agents also want to find out what happened after the jet landed in Minnesota, as that would determine whether the incident took place in US air space - which would make it an FBI matter - or if the case should be dealt with by Minnesota authorities. ET Online also confirmed that Angelina and her children were co-operative with the two FBI agents. It was previously reported that the 'By The Sea' actress didn't want Brad to be prosecuted for the allegations, and said she wouldn't co-operate if a case against the 'Fury' star was made.